Choosing a perfect radio for any occasion at your home can get quite tiring, right? You have to make sure you grab the piece and at the best deal ever. Isn’t that what every homemaker does? You surf through hundred’s of sites and make sure you get every detail about the product and also read every review and rumor about it. It is 2019 and you cannot just go to your local market and ask for a radio. Well, of course, you can but the point is in this time of superior music systems the stores won’t be having radios in their inventories. Even if they do there won’t be much of a choice and you have to decide from the 2 or 3 pieces they have kept since ages. Isn’t that why we shifted to online shopping? But as a direct salesman is not involved in online shopping, you need to make sure you find out all your queries on your own. So, just to be sure you have to go through every detail about the product and unlike the stores around you will have hundreds if not thousands of choices of radios. Sangean has been around for as long as we can remember. There is a certain feeling of trust when we hear about some brands and Sangean is one of them. If you have filtered your choices down to this amazing radio by Sangean let us make your task easier by adding all the details about it so that it may be an easier of a task for you. You won’t have to scroll through hundreds of sites to get features, pros&cons, frequently asked questions and customer reviews on this radio because we have included all that in this post. Just keep reading to find out. If you are in a hurry or not really sure about this product then this short and sweet description will cover everything that is special about this Sangean radio. With the LB-100 Sangean proudly announces the best reception in the same price range. 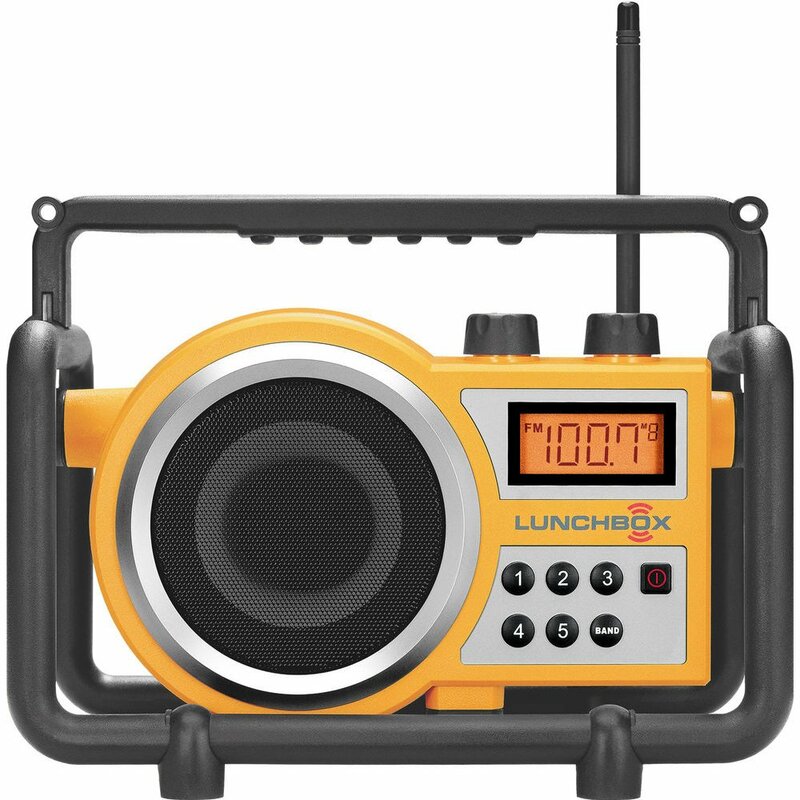 It has durable and strong built making it a perfect Jobsite/worksite radio. The LB-100 is resistant to dust, shock, impact, and rain as well. It has a superior sound quality which makes it perfect for indoor use as well. 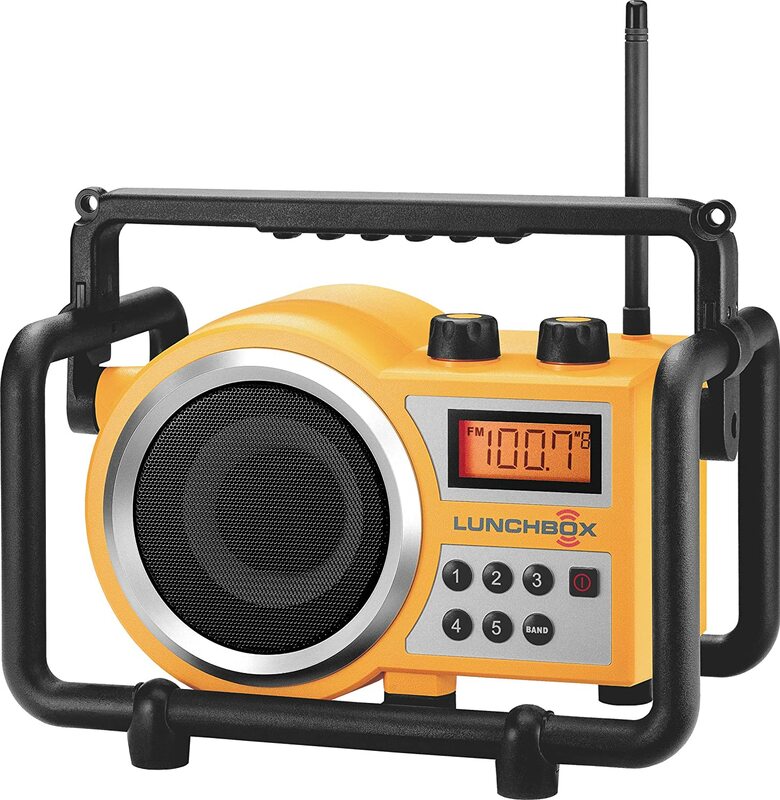 It also features a LUNCHBOX pivoting flexible antenna along with the PLL tuner which makes sure it gets the best reception. The LUNCHBOX is made up of ABS Plastic. The radio tuner has a big backlit LCD screen which makes sure that the visibility is excellent in all conditions. It has a full range of sound which is quite useful in noisy conditions. The LB-100 is rain, shock, and dust resistant which makes it perfect for job sites. A bright backlit LCD screen for great visibility while using the PLL, AM/FM tuner. It is rugged and tagged as industrial grade radio because of its durability. Its roll caged design protects it from heavy drops or impacts too. 6 color variants are available to choose from. It also has an attached AC cord which is 9 foot long. Rain, dust and shockproof. The speakers aren’t very loud. 9 Footlong AC power cord is very helpful. Batteries get dried up soon on DC even when not in use. Great Sound quality is good for indoor as well as outdoor use. Bass overpowers the music. Answer: No, it is not completely waterproof. It is rainproof which means that you can get it wet and it will work perfectly and won’t cause any trouble. Until you submerge it in water, it can withstand being wet in almost all conditions. Is it a good option if I have to use it in small outdoor parties? 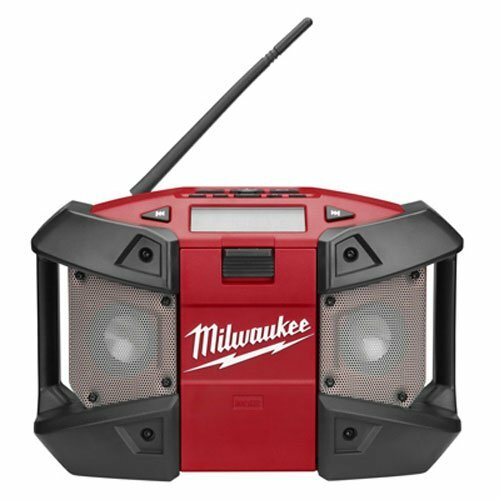 Answer: Yes, this is the perfect radio for outdoor parties. It also has an equalizer so you can adjust the settings according to your requirement. Can it work as a satelite receiver too? Answer: No, for that you have to go for a satellite receiver only. Does it work when wet? Answer: Yes, it will work perfectly fine when it is wet. It turned out to be the perfect radio for me. Initially I had many other radios in mind but almost all of them were heavier than this one. And I wouldn’t prefer carrying around any extra weight along with my tools especially when I am climbing up a ladder. This has been the best choice I made and it has great reception and sound quality too as mentioned by Sangean. I just love this product as it serves my purpose very well. When I first bought it I was not very sure about it and because of being low on budget I had to choose this one but let me tell you one thing it has proved me so so wrong and in so many ways. I literally left it on the roof after an awesome party(I used the same radio in the party and it was perfect) and it survived rain throughout the night and worked perfectly in the morning. To be honest I did not expect that much from this little guy but it proved me wrong and I am glad about it. 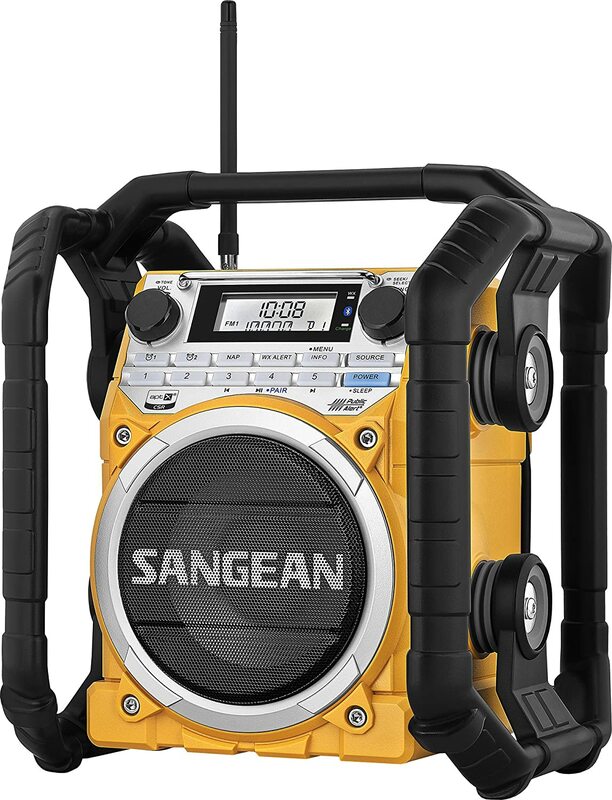 The Sangean LB-100 is the perfect choice for you if you prefer a radio that is great for indoor as well as outdoor use. Its many amazing features have made it a top-selling product constantly in the very competitive market. Neverthless this detailed guide will help you decide better. Please feel free to ask any of your queries in the comment box below.